You should have all medical questions verified by Dr. Levi or through our office in advance. These are general questions submitted by other patients and answered by Dr. Perez’s nurses or Dr. Levi. This information is subject to change; please check back often. PAGE MAY BE PRINTED FOR ‘PERSONAL USE’ ONLY. How do I get started? What are the first steps I should take? Getting started is simple – just email us for the start up information (series of emails with instructions, evaluation form, etc). Also, you may want to download the printable checklist and please read through the detailed appointment guide. RECORDS: Do I have to have the post op reports from my tubal ligation? Do I have to have them translated? How do I send them? What happens after I send my reports? Reports are not mandatory, but they can be helpful so if you have or can obtain a copy you should send them for review by fax or email. No translation is necessary. Note: After your reports are reviewed (may take up to a week in busy seasons) you will receive an email with the results of your review. If you are faxing your forms, please ONLY fax the typed operative description and the pathology report if there is one. Photos must be emailed for clarity and dvds can be mailed (please ask for instructions) but it could take several weeks to receive/review mailed items. Please remember to include an email address in your fax so we can respond – or email us after you have faxed to let us know how to reach you after review. Are there any special requirements for surgery? Is there an age or weight limit to be met to be a candidate for surgery? Are there any patients you will not work with? Dr. Perez does not have an age/weight restriction but each patient is evaluated based on his or her individual needs and general health. Dr. Perez has the highest success rates for successful reversals / pregnancies, especially for patients who have previously been told that a reversal is not possible. No matter which doctor you choose, and there are excellent doctors in all countries, we believe you deserve the chance to restore your health and/ or be given the opportunity to try to conceive a child of your own if possible. You will fill out a pre-op evaluation form and if possible send your tubal ligation records for the doctors to review. If you have any health problems we will discuss those with you in advance. Examinations and lab work will be performed prior to surgery – a more extensive exam may be required for patients with certain health concerns. We may not be able to treat patients that have infectious diseases (HIV, Tuberculosis, MRSA (staff), Hepatitis, etc.) and we test for these prior to surgery. If your surgery is very ‘high risk’ due to health concerns you may be asked to postpone until these concerns are addressed by your doctor. It is important to remember that this surgery is elective and should not put the patient at extreme risk. How far apart do the pre-op exam and surgery need to be? Can I do my lab work in advance in the US? Will I be getting a physical done? The exams, lab work and surgery will be done when you arrive for those traveling internationally. You should arrive at least 4 hours prior to surgery (or the day/evening before for a morning surgery). If you need to have lab work or exams done before arriving our doctors will let you know – after reviewing your evaluation form. If you have higher risk pre-existing conditions, you may be required to be evaluated by a specialist prior to your surgery. This does not necessarily determine your ability to have surgery, but it will give the doctors a baseline to monitor your needs and level of care while you are with us. For detailed information, please see costs page or email us for an evaluation form. How far in advance do we need to schedule the surgery? What if I want to go this week? What if I want to go next year? Can I get papers signed for my job so that I can take off work? You may schedule at any time from one week to 2 months in advance (up to 12 months in advance if you are on the payment plan). You should always try to pick a date you are confident with and if possible, keep the date. When it is not possible to keep your date we will be happy to work with you to select a new date. Please see the link below for more details. Deposits are due when you schedule, and if you have paperwork for your employer that needs to be prepared in advance, please be sure to send them at least 2 weeks in advance – or bring them with you. How do I make an appointment if I do not speak Spanish? All of our consulting physicians / surgeons / and office staff speak English. Appointments are made by emailing us the date/ time you wish to have surgery. What happens if I cannot keep my appointment? Can I get my money back? See the appointments page and the deposit page for more detailed information regarding canceling and rescheduling surgery. 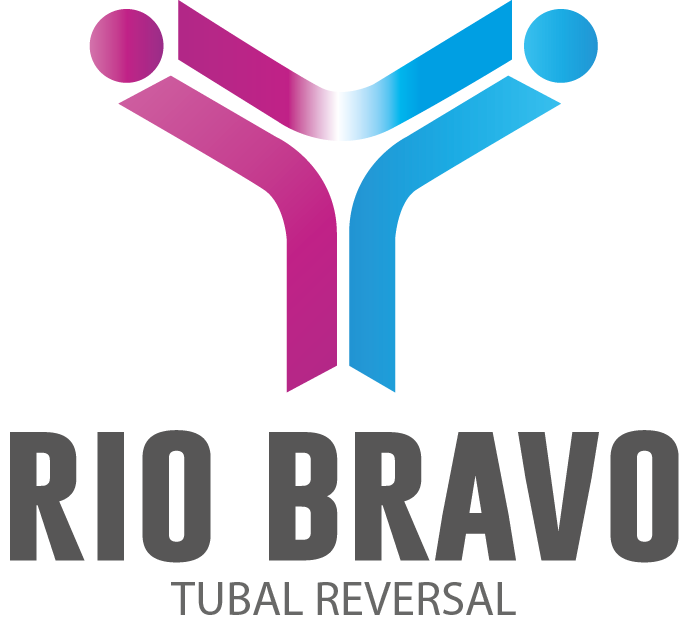 My husband and I both need reversals (vasectomy reversal + tubal reversal). Can we get them done at the same time? Yes. We frequently do couples reversals. Surgery times will be staggered so that the spouses are not under sedation at the same time (unless you bring a third adult with you to act as your advocate while you are sedated). Each spouse is welcome to be present at the other’s surgery. The amount of in hospital time is about appx 1/2 day longer than a single surgery. Neither patient will be able to drive post op, so you will need to fly or use public transportation, hire the shuttle, and have someone pick you up at the airport when you return home. A private nurse may be required. I have seen stories on the internet, even on other reversal doctor's websites that say that the doctors in Mexico are not qualified to do this surgery, and that I will get butchered in Mexico! This really scares me - so how do I know that won't really happen to me? I don't see any complaints on your site about other doctors. Is that because the other doctors are better doctors? We have all heard the expression “don’t believe everything you read”. It is necessary to remember that bit of wisdom especially now with the internet becoming the world’s #1 method of communication. People are generally not held responsible for what they say on the internet – so they can say anything regardless of accuracy or truth. Sadly, that makes it difficult to distinguish between truth and fiction. Some stories are false and are made for monetary gain (please note we will never pay to remove a negative story or to post a positive one), and some stories are fabricated by people who have never been a patient here. Again, if you are not able to verify their identity then it could just be a false rumor. But, with some research and a little time, the truth can be distinguished from the rumors – allowing you to make a well informed decision. Can anyone post anything they want – or is it monitored for legitimacy and accuracy? What are some of the other stories? Do they sound legitimate – or just disgruntled people lashing out? Is one person using multiple screen names to make it look like more people? Does the site allow you to verify the person’s identity? It is very important to talk to real patients so you can get accurate reviews of service and outcomes. This is why we have set up the patient forum and a Facebook group where you can talk directly with other patients and find out what their experiences were. Many patients have been around for years and have a lot of knowledge to share. Are there patients with legitimate complaints? Absolutely! We are not perfect, we are human. Do we butcher, cheat, or harm patients medically? Of course not. That is evident by the number of ‘happy’ patients we have and our high success rate. Dr. Perez is an ethical and compassionate person and a highly skilled surgeon with an excellent reputation. And the vast majority of his reversals are successful. There are times when – even under the best of circumstances – he cannot make a patient’s dream come true. Not all patients will conceive after a reversal. This is not because of their reversal surgery, though we sympathize with their disappointment. Lashing out and looking for someone to blame is human nature. Instead of choosing to blame the doctor who ‘broke’ them – they blame the doctor who could not fix what was already broken. We grieve with them and wish them well – but we can only do what can be done – and beyond that it is out of our control. Do we ever get complaints about US doctors or disparaging letters sent to us about them? Absolutely!! We do quite a number of ‘second reversals’ for patients who previously went to other US doctors. But, we do NOT allow them on our site. It is unprofessional. Attempting to discredit other professionals (or allowing patients to do it on our forums) to build our reputations is not how we choose to do business. We believe that most doctors do their very best to try to help all patients, but no one is 100% successful. We choose to do business with respect for the profession, and stand on our own merit and patient/doctor referrals for growth. It is also unproductive. It does not make surgeons better, it does not make patients healthier, it does not increase our success rates or reduce disappointment. Simply put, it serves no purpose among professionals, and therefore we choose not to participate in it. Patients have a right to choose whichever doctor or hospital they believe is best for them. Just go to Google Maps and look up Av. Las Americas No. 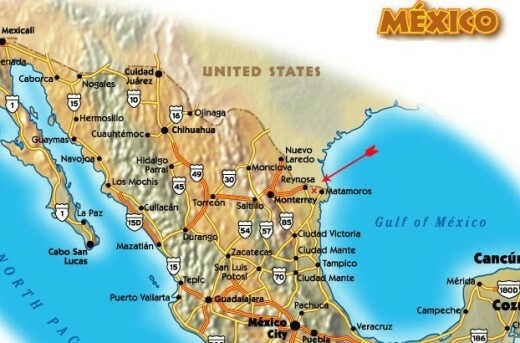 515 Rio Bravo, Mexico – then double click the map in the area where Morelos and V Guerrero cross. Click the little man (street view) and you should be able to walk through a virtual tour of the area. We will be updating all of our maps soon. A hotel room may be needed if space does not permit during our busiest season (tax time) but this is rare. A hotel room is always necessary if you are staying additional (more than 2) days in the area or you have a flight time that conflicts with our shuttle schedule.A hotel room may be needed if space does not permit during our busiest season (tax time) but this is rare. A hotel room is always necessary if you are staying additional (more than 2) days in the area or you have a flight time that conflicts with our shuttle schedule. You will stay in the hospital a minimum of 24 hours post op before being released; and you must allow 4 hours between hospital release and flight time. Please note that most airlines are strict on viewing doctor’s releases before they will allow you to board, and if you appear to be having problems they may refuse to board you at all. So waiting the proper amount of time (28 hours post op) to fly and obtaining a release form before you leave the hospital is strongly recommended. No. Children under 13 are not allowed to stay in the hospital. This is hospital regulation. If your children are coming, there is a hotel nearby that we recommend, for your spouse and children. Children must have an adult with them at all times. If your guest or spouse must stay with the children in a hotel, you will have to hire a private nurse overnight. Please remember that bringing children across the border requires birth certificates, proof of parent /child relationship and notarized letters from any non-traveling legal parent/guardian giving permission for the children to be transported across the border – and passport cards. During your surgery a secure place can be provided for you to keep your money, purses, other valuables that are necessary to bring – just ask Dr. Levi when you arrive. However! As with any hospital (in any country), we cannot be responsible for items lost, damaged, or stolen if left unattended. All unnecessary valuables should be left at home. Never leave cash or valuables in your room, your hotel rooms, or your vehicle at anytime during your travel; and be especially careful with valuables at airports. What type of surgery is it? How is it performed? What about complications or pain? Dr. Perez performs a microsurgical procedure using surgical loupes – which is the recommended method for microsurgical procedures of this type. The surgery is performed through a small incision (appx 4″) just above your pubic area (bikini cut). You will be mildly sedated after entering the operating room and prior to surgery, so you will not feel the epidural or catheter being administered. The tubes are repaired (method is determined by the type of ligation) by removing the damaged portion of the tube, and reconnecting the healthy ends. In some cases, more extensive reconstruction may be required. Does he cut through the muscle and use stents? No. The doctor does not cut through the abdominal muscle, which helps make healing quicker and less painful. He does not use stents because they can cause damage to the inside of the tubes. Please be sure to speak to the physician in advance about your surgery. Does the doctor check to make sure the tubes are open? Yes. The doctor uses saline to flush the tubes to make sure that the tubes are connected properly and that they are flowing freely. How many layers of sutures does he use to repair of the tubes? What type of sutures does he use? Each layer of tube (3 layers) is stitched using a non-dissolvable micro-suture. The sutures used to close the abdominal fatty layers just below the surface incision are dissolvable stitches, and the stitching method used to close your external incision is a cosmetic surgery technique which will minimize scarring and make the incision barely visible within a few months to a year. What type of anesthesia is used? What if I want something different? Why do I have to have an epidural? Unless you have certain allergies, severe obesity, or are medically unable – you will have an epidural because it is the safer method for this type of surgery. You will not feel the epidural being administered. Our anesthesiologist is excellent and highly skilled and the doctors will make the best decision based on your individual needs. If general anesthesia is required there will be additional costs. We understand the fear of the epidural, and nearly every patient we see has those fears. But we can safely say that almost every single patient we’ve served has left feeling completely different about the experience due to the way we administer the procedure. What if I want to be asleep for the surgery? What if I want to be awake during surgery? The anesthesiologist will use a mild sedative to help you relax or sleep (equivalent to the US drug, valium) while they prep you for surgery and do your epidural so you will not feel a thing. If you want to be awake, let the doctor know and they will decrease the sedative dosage. If you want to sleep, they will increase the sedative to make sure you sleep through the whole procedure (there are additional fees for this). Above all, remember that you can have an open dialogue with the doctors here; they are receptive to allowing you to be involved in your care. Is there a particular time that my reversal surgery needs to be done? If I start my period, do I have to cancel? It is preferable to try to do surgery at a time ‘other’ than the time of your cycle but we also understand that the stress of travel and pending surgery can often cause even the most regular patient to start unexpectedly. It will not keep you from having your surgery or pose a problem (unless you are prone to very heavy bleeding). Just be sure to let Dr. Levi know if you are on your cycle and at what point (beginning, middle, end) and/or if you are experiencing any other problems. You will want to bring pads from home (for travel). You cannot use a tampon during or after your surgery (the next cycle is fine). We can provide you with pads while you are in the hospital; but you will want to have some of your own for your journey home. Are the doctors able to deal with complications? What about emergencies that could arise? Dr. Perez. has seen about every conceivable complication or emergency that can arise in his many years as a surgeon and ob-gyn, and he has had success with some very difficult tube reconstructions. He and the hospital are equipped to handle any emergencies that may arise – the hospital is a Red Cross hospital and Dr. Perez has been in practice for 30 years. Will I be in pain? How do I get help when I am in pain? Your pain will depend a lot upon your tolerance for pain, but most patients are not in extreme pain. Some patients compare the pain as being similar to that of a c-section, though not as intense. If you are having trouble sleeping, or are in any pain, please tell the nurses. The nurses are very intuitive to your needs, and language barriers have not been a problem for the majority of patients. They will also check on you frequently. A Spanish/English dictionary, or note cards, with a few words in Spanish – pain, hungry, can’t sleep, sick, need doctor, and so on could be helpful to take along. There is a very good (free) tutorial in the links section that would be very helpful for making note cards. Will I get pain meds to take home? What about antibiotics? Dr. Perez will supply you with the necessary antibiotics and pain medications that you will need to take home after the surgery. There is no cost for this. Your travel methods and distance afterwards will also be a factor, but if you take your meds at the times prescribed, your pain should be minimal. You can bring additional over the counter medications (Tylenol Pm is highly recommended by patients) for your travel, but you must check with the doctor before taking any additional medications to make sure there will be no adverse reaction with the medications you are being given in the hospital or taking home with you. What about after my return home? Who will remove my stitches? Currently when possible the doctors are using dissolvable stitches or surgical glue that does not require removal. If you have removable stitches you (or your spouse or a friend) will be able to remove your stitches after 10 days. The doctor will give you instructions for removing the sutures or you can view them using the link below. It is a very simple and painless process that takes less than 2 minutes. Your regular physician will be able to do this if you are unsure or unable to do it on your own. You will spend the 24-36 hours post op under the care of the nurses and doctors at the hospital, and they will tend your incision during this critical period of time. Once you are released from the hospital, you will be given antibiotics, pain meds, and instructions for taking care of your incision. Caring for your incision should not be a problem if you follow the doctors instructions. See the page below for details. Should this ever happen to you, please feel free to contact us immediately or return to the hospital. You probably have a spinal headache from the epidural. This happens about 30% of the time, and is random. Just because you’ve had one before does not mean you will get another one. Medical treatment for a spinal headache is rarely necessary if you self-treat it immediately, but left untreated / or if you continue to travel or move around, it will only increase and a blood patch may be required. To treat your spinal headache – first determine if that is truly what you have; you should be able to tell simply by lying down flat. In most cases, if it is a spinal headache it should ease immediately. Standing or sitting upright will typically increase the pain. Treatment – just lie flat for 24-48 hours, only getting up to eat (briefly) or go to the bathroom. Drink lots of fluids, water and caffeine are preferred because caffeine stimulates the reproduction of spinal fluid. Lying still and flat – and staying still – is mandatory to give the dural sac time to heal properly and clot so the dural sac does not continue to leak. If you do this immediately, your headache will be gone within a couple of days, and you can continue with your recuperation. Will I be guaranteed a baby? How soon after surgery can I start trying to have a baby? No. While it would be a great blessing to be able to make this guarantee ~ it simply is not possible for any doctor to promise that you will get pregnant. There is no doctor, surgeon, fertility expert etc. who is able to ‘guarantee’ you a baby, so beware of those who do. No two patients are the same and while surgeons can restore the fertility ‘tools’ your body needs to become pregnant, they simply cannot guarantee a pregnancy. Your body has been altered and will never again be the same as it was created, but Dr. Perez’s will repair them to as close as possible. What we can do is guarantee you that you will have the ‘best outcome possible’ with your surgery, and that we will do everything we can to make sure that your reversal is successful. Still, not everyone will conceive, and often there is no explanation as to why. There are many factors that determine the ability to conceive following a reversal, including but not limited to following the doctor’s instructions. You will be required to wait 8 weeks after surgery to try to conceive. During that time you should use a barrier method of birth control. Many doctors will tell you that it is okay to try sooner, but we disagree. Trying to conceive too soon can be dangerous to the patient, the baby, and could cause you to lose your tubes or have them scar shut again. Dr. Perez’s high rate of births following reversal surgery is proof that following his instructions post op will bring you the best chance possible for conceiving and carrying a child to term. Is it safe to go to Mexico for treatment? What about all the warnings we hear on the news? Yes, it is safe in our area and most areas that do medical tourism. Here is a very nice article explaining why Mexico’s doctors are excellent doctors! While we cannot speak for the medical services of the entire country, it is safe to seek services in our area and in our hospital. We are a Red Cross hospital – known in all countries for their excellent quality of care. From the website of México Connect: What is the level of Health Care and Medicine in Mexico? Here are some others who say it best – with a fresh and realistic view. Is it Safe or Unsafe for Americans to Visit Mexico? Mexico Still the Number One Vacation Destination for Americans! We completely respect the concern many of our pending patients have about staying safe when you travel and we agree that in some areas violence is a problem (especially to the south and west of us) but it is not crime or violence generally aimed at travelers or tourists. We all need to know there are dangers and how to avoid it for our own benefit, but Mexico should be looked at as a whole country rather than the media focus of just specific areas. The areas of concern for tourists are (what’s normally shown/ seen on tv) are appx 16-18 hours away. There are some patches of gangs that attempt to move north into the smaller towns but we also have the military who shut them down rather quickly. Rio Bravo is a safe and thriving community with exceptional people and safe/secure medical services. We do encourage our patients who travel to always be cautious no matter where you travel and heed the warnings that are there for your benefit – but the truth is that 15 million Americans cross the border here every year, and more than a million cross on a daily basis and never have a single problem. They work here, shop here, vacation here, and continue to recommend that others do the same. So while we don’t want to downplay the fact that in some areas there is violence to be concerned about – it is still very safe to travel to Mexico in the vast majority of areas including Rio Bravo. The one safety precaution we strongly recommend – use the shuttle. The driving here can be hazardous if you are not used to it, and the number 1 cause of death (in any country) for foreign travelers is traffic related deaths. We will not hesitate to tell our patients if and when there is a need to worry about traveling here. Our greatest concern – in and out of surgery — is patient safety. Whatever affects our patients affects us. Please consider joining the forum, and speaking with other patients about their personal experiences. It’s the best source of information you can find. “Should you be concerned about the violence? Of course you should and you should use precautions to make sure you do not present yourself as an opportunity for a crime to happen – know where you are going, stick to your itinerary, do not travel on the roads alone or at night, stick to major highways, do not flash large sums of money around, always let someone know where you are. These are the rules that apply to any tourist going to any foreign nation. Mexico is no different. If you ‘do the math’ and look at the facts you will see that you are in no more danger of being killed on your trip to Mexico than you are being killed in a robbery at your local bank or gas station (both of which could happen on any given day). – in the deadliest city in Mexico (Juarez) only 39 US citizens were reported killed in 1 year (the most ever at one time) – of those…. – while it is almost impossible to find a good number anywhere (because it is a very small number) it is roughly estimated that at most 200 US citizens may die in the whole of Mexico in a year and 98% of those were involved in the drug trade. The other 2% were bystanders/ traffic related or other some other kind of accident. If the media only reported the daily crime and every single incident from any one state – like New York, California, or Florida – you would have mass panic throughout the world, Wall Street would crumble and people from every nation would be avoiding Disneyland like it was a death camp. So be aware, be cautious, do your research and talk to people who actually travel to Mexico before you make your decision. It is not as a rule unsafe at all. God is still God and very much in control even in Mexico – and He will not take you to it unless He sees you through it.” (Keith J – frequent traveler). What are the doctor's credentials? Where did he go to school and how can he be checked out. Dr. Perez. has been practicing for more 30 years, and has been specializing in surgery for more nearly 30 years. He has been performing tubal reversal surgery for international patients for 15+ years, at the average rate of 150-200 surgeries per year. His compassion mixed with his skill and the large number of successful surgeries makes him a truly gifted surgeon. Dr. Olivares (vasectomy reversals) is an associate of Dr. Perez and has been asked to join the reversal team in the last 6 years. He is also a highly skilled and accredited surgeon, and he is now branching out to international patients as well. We are often asked why there are no testimony pages for Dr. Olivares – we would love to hear back from the male patients (or their wives!) but the truth is men rarely discuss this type of surgery, much less post their experience to the internet. Do you perform other types of gynecological surgeries or treat patients for other medical problems? Yes, we do! Dr. Perez offers a full range of gynecological services and surgery. Please email us your specific needs and we will send you any information you need. We do not have a specific date that new doctors will be added, but we will make announcements as soon as we have them.